Looking for the perfect place for whole-family fun this spring break? Steer clear of crowded beaches and overpriced theme parks. 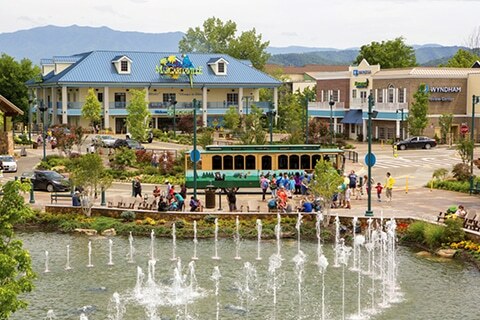 Pigeon Forge is the perfect destination for your spring vacation. Our favorite town has it all: shows, events, parks, rides, delicious food and a whole host of things to do in the Smoky Mountains this spring. There’s a reason why Pigeon Forge is known as the Center of Fun in the Smokies. There are plenty of fun activities and things to do — for the little ones on up to the thrill seekers in your group. From dinner and theatre shows to miniature golf, go karts, the season-opening of Dollywood and much more! Many of our families come back year after year, checking out new attractions and revisiting classic favorites. During this time of year, the Smoky Mountains begin to bloom — and it’s an amazing sight! Spring hiking in the Smoky Mountains are filled with colorful wildflowers, spectacular views, and more hours of sunshine to explore the great outdoors. 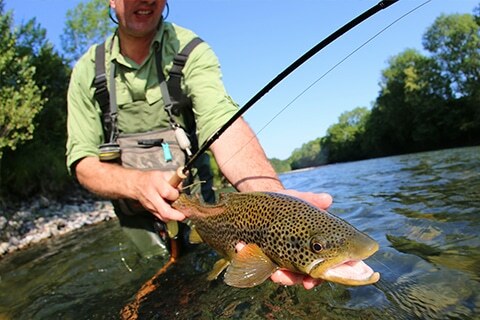 Plus: Spring in Pigeon Forge is great for fishing as well! In Pigeon Forge, you can camp, find a condo, a familiar hotel or make a rustic cabin your home away from home. No matter what perfection means to your family, you can find it here! Order a copy of the 2019 Pigeon Forge Travel Guide for a host of discounts. Plus, find plenty of other coupons from area businesses to help you save on your Smoky Mountains spring vacation. There are a variety of spring festivals taking place in Pigeon Forge. Dollywood’s Festival of Nations is an incredible production, with educational value mixed in with the fun! If you have early risers who love the quiet competition of a fishing tournament, look no further than the Spring Smoky Mountain Trout Tournament. Car lovers of all ages have a blast at the Pigeon Forge Spring Rod Run and there’s nothing like taking in the beauty of the wildflowers in the spring while you enjoy the Music in the Mountains Spring Parade. From the sounds of music and the rhythm of the dance to the laughter of family-friendly comedy and the mystery of magic, Pigeon Forge theatres and dinner theatres boast fun-filled performances that keep families entertained throughout the year. 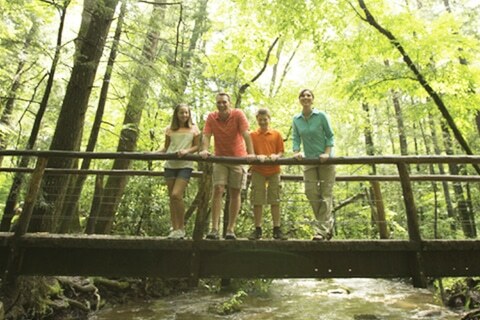 Spring time means fun time in Pigeon Forge! Be sure to pack both short sleeved and long sleeved shirts. On average, Pigeon Forge spring weather can vary from as low as 34°F to as high as 77°F within the city. However, weather in the Smoky Mountains can be very different, so check both forecasts before you venture out for a hike.